[일간스포츠=이미현 기자] BLACKPINK’s promotions for its new album seem to be a little out of the ordinary. The group first released a host of pictures, and now it has released the behind-the-scenes videos before the official release of its new songs. This shows just how confident BLACKPINK is. In the afternoon of October 31, BLACKPINK released the behind-the-scenes videos of its singles ”PLAYING WITH FIRE” and “STAY”, which are scheduled to be released on November 1. Singers usually release behind-the-scenes videos after releasing the songs first to prevent pre-exposure of the new songs. 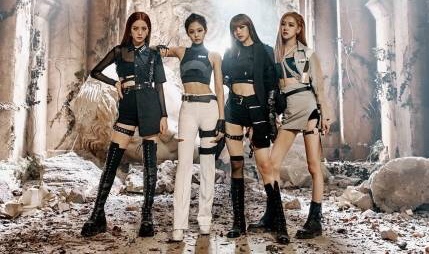 BLACKPINK has released the behind-the-scenes videos despite the risk, and this shows that the group has much confidence in their music. BLACKPINK’s debut single “WHISTLE” dominated the charts in October, and the music videos of “WHISTLE” and “BOOMBAYAH” surpassed a combined view of 100 million on Youtube. Therefore, it is only natural that fans have great expectations for the group’s next album. In addition, YG has already announced that one of the title tracks, “PLAYIING WITH FIRE”, is a tropical house song, and since it is a fresh new genre, expectations are running especially high. The title tracks of BLACKPINK’s second EP are also TEDDY’s creation, so they are expected to be as much of a hit as BLACKPINIK’s debut songs. BLACKPINK will release its second EP “SQUARE TWO” on November 1, and the album contains “PLAYING WITH FIRE”, “STAY”, and an acoustic version of “WHISTLE”. BLACKPINK’s comeback stage will take place on SBS’s Inkigayo on November 6 and on Mnet’s M Countdown on November 10. The quartet will also appear on MBC Everyone’s Weekly Idol—its first variety show appearance.